Silos occur when areas within the business are unwilling or unable to effectively share knowledge and collaborate with each other. As a result, these siloed teams often end up working in isolation from the rest of the company, losing sight of the big picture and focusing narrowly on the best outcomes for their department. But why do silos arise in the first place? In today’s post, we look at why silos exist, why they might be damaging your business, and how to know whether silos are holding your business back. Why do silos exist in businesses? Silos tend to arise organically, as the business grows. Your business was likely very fluid. Everyone did a little bit of everything – product development, sales, marketing, and so on – because you were a small team who were all figuring it out together. Cross-collaboration was the norm; as such, you were able to respond quickly to opportunities and shifting landscapes. As the business grew, however, it became much more segmented. Silos naturally arose, in order to centralise expertise, skills and job functions. Teams became more specialised, and therefore able to work more proficiently. Managers were then appointed to lead these disparate teams. As no doubt specified by their job descriptions, these managers became intensely focused on the outcomes of their team, continually looking for ways to make their employees perform better. They may even have implemented their own systems or apps, with little regard to how these would interact with the rest of the business. Organisational: This is likely the most common type of silo, where organisations are typically divided by business functions (e.g. finance, human resources, sales etc.). Career paths typically stay within divisions, further reducing the chance of knowledge being brought from one area to another. Products/markets: Teams are focused not on particular business functions, but products or markets. This may result in better products or targeting, but likely also results in more redundant work. Geographical: For some businesses, geographical proximation to their target markets is important, but having teams in disparate locations can also result in silos. 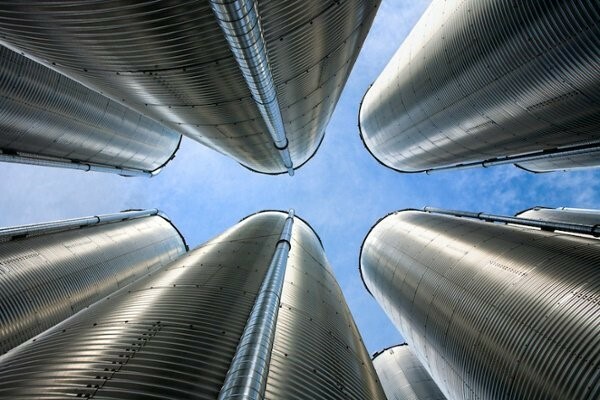 What impact can silos have on your business? Silos aren’t inherently bad. In fact, for day-to-day tasks, the positives of silos in business typically outweigh the negatives – specialised teams are able to achieve their aims more effectively and efficiently as a result of this concentration of knowledge. But when organisations need to shift quickly, or find new routes for innovation, silos become a significant hindrance, impairing an organisation’s ability to pivot fast and capitalise on opportunities. For example, Roberts Wesleyan College is a regional liberal arts college located near Rochester, New York. Prior to integrating KYOCERA’s ECM solution with their existing education management software, sharing information between departments in different buildings across campus and distinguishing the most current version of a document was difficult. This was affecting the college’s enrollment rates. “Before… we would have to schedule a meeting to determine if a student could receive transfer credit. Today this is done virtually with a predefined workflow, saving time and clearing excess meetings from staff schedules,” said Kim Porter, Director of Application Support and Development for Roberts Wesleyan College. How do you go about breaking down silos in business? You don’t know that many people outside of your department: If you’re not generally on a first-name basis with the majority of employees at your business, there’s obviously not a whole lot of collaboration going on. You have a broken customer experience: If customers are complaining about a broken customer experience (for example, they are receiving marketing material address to potential customers when they are an existing one), this is a sure-fire sign that silos are hindering your business. Work is being duplicated: Redundancy is another tell-tale sign that silos are holding you back. After all, if you don’t communicate with your colleagues, how will you know they’re in fact doing the same tasks? Once you’ve identified the problem, it’s time to take proactive steps to dismantle the silos in your business. To learn more, download our free ebook Breaking Down Silos: How collaboration can accelerate your business’ growth. Download it now!